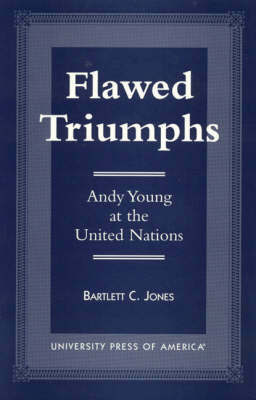 As the only systematic investigation of his tenure, this book offers a sympathethic assessment of Andrew Young's performance as U.S. representative to the UN (1977-1979). Labeled by his critics as 'New Left,' a 'preacher' and a 'loose cannon,' he is here portrayed more accurately as an American imperialist and chauvinist who wished to export our products, democracy, free enterprise, and civil rights revolution to the rest of the world. This book seeks to correct the many factual errors in published works and presents Young's style in relation to his achievements. The book begins with Young's confirmation to the post. It then moves to the Carter Administration, where he initially had a cordial relationship with key Administration officials. The author details the work Young did in Africa, along with the roles he played in the Caribbean, Near East, Southeast Asia, Australia and the Philippines. The book concludes with his eventual resignation and an evaluation of Young's achievement. Students and scholars of foreign policy and recent U.S. history, and African affairs will find this a useful work.